Rosh Hashana is the Jewish New Year. Celebrated on the 7th month of the Hebrew calendar. Hanukkah is known as the Festival of Lights—Like Christmas for the Jews. Starts on the 9th day of December, for 9 days, a new candle is lit everyday. Sukkoth is a festival for 7 days. Pilgrimage festival for the Jews, and celebrated on the 15th day of the month of October. This entry was posted on December 3, 2009 at 6:12 pm and is filed under United States Holidays. You can follow any responses to this entry through the RSS 2.0 feed. You can leave a response, or trackback from your own site. I did not realize that jew’s did that kind of stuff on holidays. it was interesting to know because i don;t think i would ever do jewish stuff, so it was imformitive. So is Christmas – like Hanukkah for Christians? So according to your post Christmas is like Hanukkah for none jews? Or is Kwanzaa like Hanukkah for African Americans? 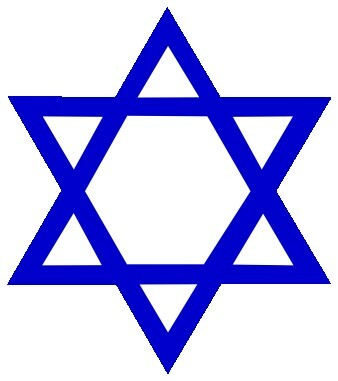 Also, for people that aren’t aware of what the picture is, the picture is the Star of David a.k.a. the Jew Star. Over all your post was well written, Thank You. I want a tatoo of the star. Why do Jewish people have different holidays?